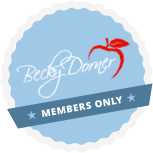 February 2017 Newsletter - Becky Dorner & Associates, Inc. This month’s e-zine features some special articles in honor of heart month including our most recent blog, Restrict or Liberalize? Therapeutic Diets for Older Adults with Cardiovascular Disease. Be sure to sign up for this month’s special webinar, “End of Life Nutrition and Hydration” with Liz Friedrich, MPH, RD, CSG, LDN. We’ve been working hard to finish our new book on the same subject to go with this webinar. The book includes evidence based guidance, best practice guidelines and practical information to help guide you through difficult decisions and discussions. Please enjoy reading all the news, and have a lovely month. Academy National Elections End Feb. 22! 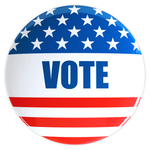 Academy members, learn about the qualified candidates in the national election by viewing their videos and reading their bios. Then exercise your right to choose strong future leaders. Celebrate healthy eating during National Nutrition Month in March! The Academy has provided free resources including printable tip sheets, handouts, and videos to promote eating right. The National Clinical Care Commission Act unanimously passes the House in January. The bill now moves to the Senate and will allow federal programs to continue that can provide efficient and effective care for people with diabetes and related diseases. It’s HEART month! The American Heart Association provides resources to help seniors live longer, healthier lives. The National Academies of Sciences, Engineering, and Medicine’s Food Forum examined trends and patterns in aging and factors related to healthy aging with a focus on nutrition. The American College of Physicians and the American Academy of Family Physicians have just published an evidence-based clinical practice guideline on the appropriate blood pressure target for seniors. A recent study from the Journal of the American Geriatrics Society found that leisure activities reduced the total cardiovascular disease mortality incidence in older adults. Tips on how to help save a life if someone is having a heart attack. Senior living facilities are highlighting the social benefits of sharing a drink with a friend. Learn about nutrition care for cardiovascular disease in older adults. For more details on this topic, refer to our 2016 Diet and Nutrition Care Manual. Liz Friedrich, MS, RDN, LDN joins the Wound Clinic podcast to discuss the role of food as medicine to assist in healing chronic wounds. Terminology of the staging system for pressure injuries has been updated to avoid confusion between intact and ulcerated skin by medical professionals. Access a free sample daily meal plan for a well-balanced diet and other resources! 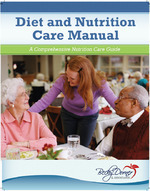 Learn more about healthy eating pattern guidelines and therapeutic diet guidelines in our Diet and Nutrition Care Manual. The International Dysphagia Diet Standardization Initiative (IDDSI) is now mobile! Access to the IDDSI framework for the dysphagia diet, descriptors, food texture and drink thickness tests. Available for the Apple and Android platforms.